The River Test perks the ear of any angler. My late father would often talk about it in exalted tones, referring to its glorious brown trout. 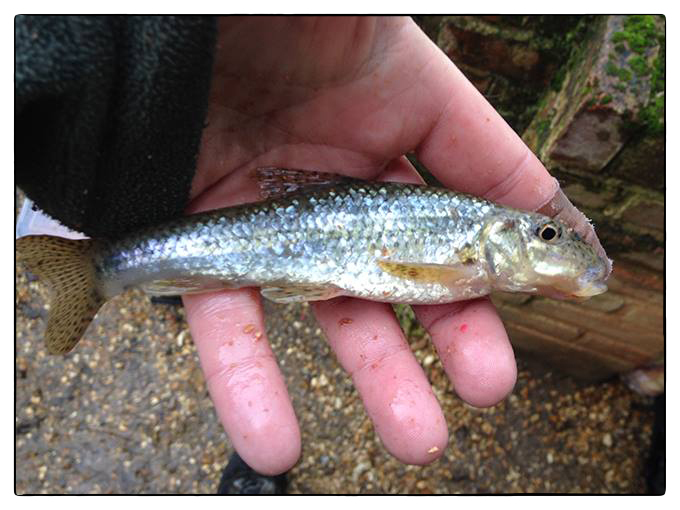 In later years, I learned of its grayling, and as my circle of angling interests widened, its big roach and dace. To have the chance to fish it was the opportunity to tick off part of a bucket list that includes all the great fishing rivers of the world, from the Shannon to the Amazon. My opportunity came from an unexpected source. I started playing five-a-side football again about two years ago, and Ollie Johnson, a cousin of one of the regulars would occasionally join us. Once the game was over, sweaty, knackered men would invariably talk about nothing other than football, so the topic of angling never came up—often Liverpool. Never weirpool. When I launched Fallon’s Angler, I sent an email to all members of my footballing circle, and straight away Ollie replied with “I had no idea you liked fishing too”. It turns out he doesn’t JUST like it; he has decided to make a career of it. I guess I am doing the same thing, but from a different angle. His intuitive mind has led him to make bait and terminal tackle; I am producing a magazine. The approach is different, but the sentiments are the same. We love angling. We want to be involved with it. “I fish a stretch of the Test. Would you like to join me?” You might as well ask me would I like a date with Angelina Jolie. I was packed and ready before my reply landed in his inbox. On offer were plenty of grayling, lots of huge dace, and a good head of roving roach that were topping 2lbs. I had never caught a grayling—there are none in Ireland, and the closest I came was losing one at the net in Canada. I had never caught a large dace. I had never caught a 2lb roach… where’s that bucket list? I had, of course, caught many roach before, but nothing of notable size. I’m sorry to say they weren’t hugely valued in my youth—they were foreign invaders as they made their way though the Irish waterways having (supposedly) arrived first as live baits in the buckets of angling tourists. They were also an unwelcome threat to the bloodline of our local big rudd. But by the time I entered my 20s things had changed—catching one invariably meant you would catch more, and several waters in Ireland held incredibly large heads of roach, and big match weights were often amassed. However, in my limited experience, individuals remained comparatively smaller than their English relatives. 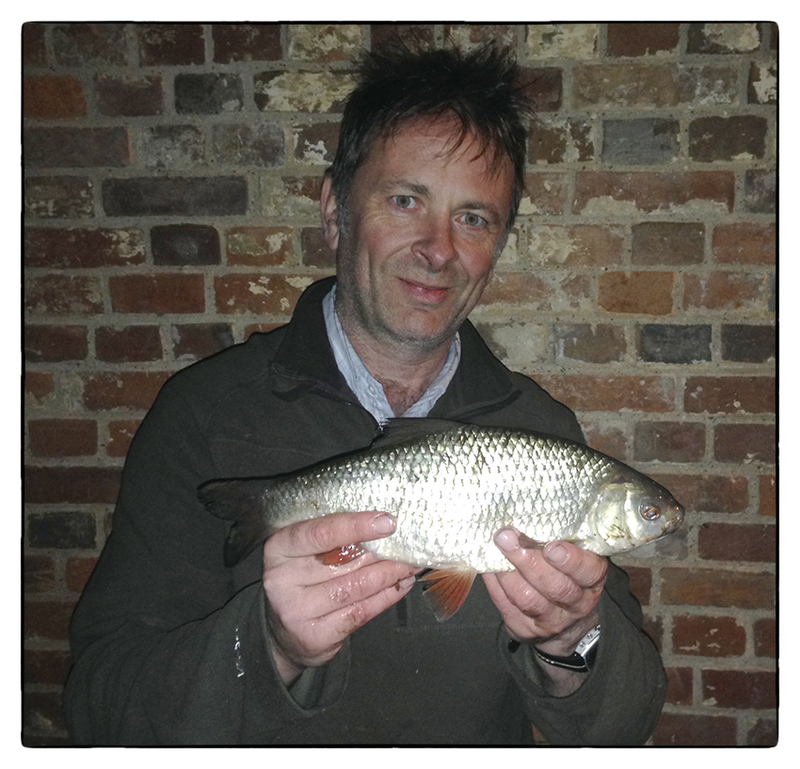 The first time I realised that you could catch really big roach was when I watched an episode from A Passion for Angling where Bob James caught 10 roach in excess of 2lbs in the same session from the Avon. I slept fitfully, as is often the way when you’re excited, but a double espresso somewhere near Winchester got me to the river without incident. It was crystal clear, wide, not too deep, delicious. At the beginning of the stretch, the river seemed to flow directly out from under a house and into a wide pool teaming with life—as if Adam had left the bath tap running in Eden. The pool narrowed before the river ran around an Island, at which point it was joined by a tributary before funnelling under a bridge and away into another private stretch. I would be trotting– something I had never done—and within minutes I had my first grayling. Lots more followed, quite a few were missed, then I had something much more solid—a brown trout! Out of season sadly, but released with a kiss nonetheless. Then a few dace, some small perch, yet more grayling… I was sure I saw a salmon leap. But where were the roach? We moved swim. We trotted under an overhanging tree and the float was racing through while I snaffled some more grayling to just over a pound—nothing truly rod-bending but very pleasing to catch. We tried the feeder with bread… some more dace. We headed back to the pool. I had a lot more grayling. They are beautiful to look at, so elegant it is no surprise they bear the angler’s term of endearment, Lady of the Stream, though their sail-like dorsal fin is more showy in the males (they are not without a sense of irony). Then the float disappeared again and I reeled in an old friend; the gudgeon, gobio gobio. Not since I was a child had I caught this King of Fishes. They are called a gregarious species—fond of company, sociable—and it’s a term that suits these amiable little fellows. I was happy to see them after such a long time. One of the problems with the shorter days of Winter is, of course, the shorter fishing time, but we shared the pool with another angler as darkness started drawing closed its curtain. Fishing bread, rather than maggots, a 4lb chub had come to the net of another, and for a few moments we even had a run from a decent pike which had grabbed an incoming dace. The pool was alive. But so far only two roach had showed, none to me, and it was time to go. I turned towards my rod, upright against its rest, holding in the current but bobbing with the ebb and flow, and just as I was about to reel in for the last time, the tip banged down viciously. I struck, and after a commendable battle in the dark, where I had to fight the fish through the full force of the current as the river thundered into the pool, a headlamp at the net revealed a decent roach, at last! At 1lb 8oz it was by no means a monster, but it is my best roach; a fat, round, silver trophy.